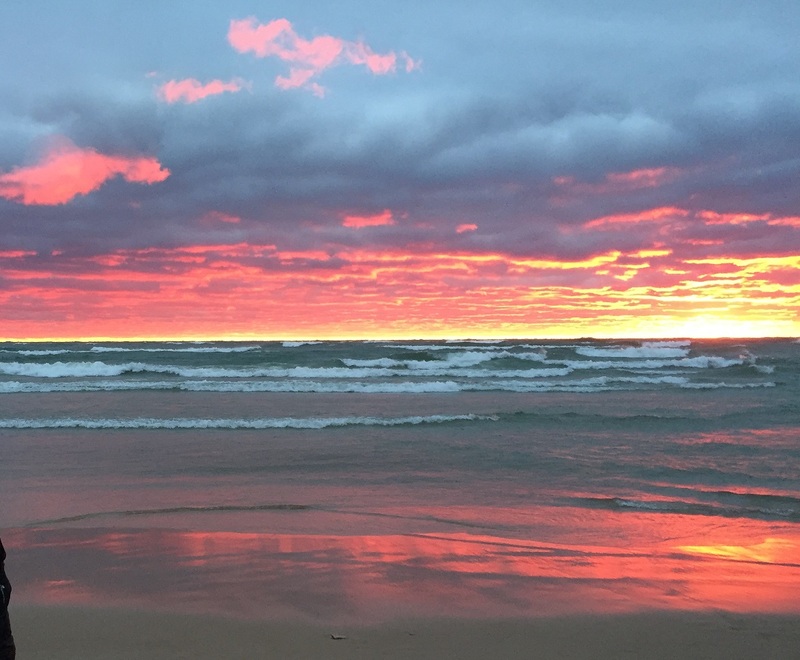 Last week: Close – Friday was right on, but Saturday was a little windier than forecast. It got up into the low 20 knots. Sunday was just about right on with the wind getting up to about 18 knots in the afternoon. Today: Things are gradually calming down after another big wind event mid week. The SW to W winds have now become slightly more north and this has crashed the air temperature. Quite a bit colder than what we have seen yet this fall. 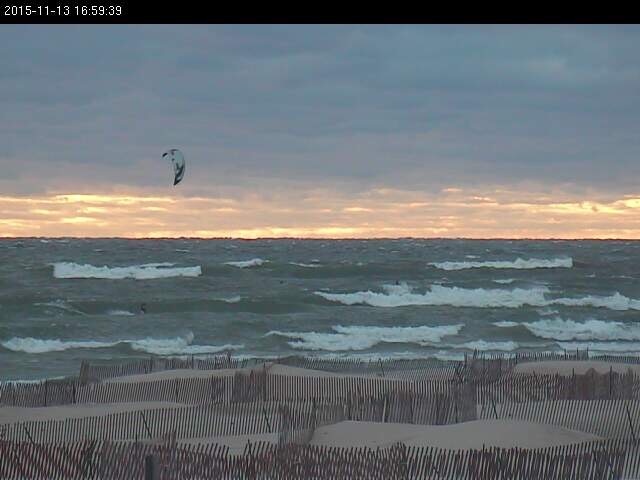 After this morning of wind in the mid 20’s, the rest of this afternoon should go from 15 to 20 to 10 to 15 knots out of the WNW. Saturday: Winds will be out of the east in the 10 to 15 knot range. The big story is going to be how much snow we get. 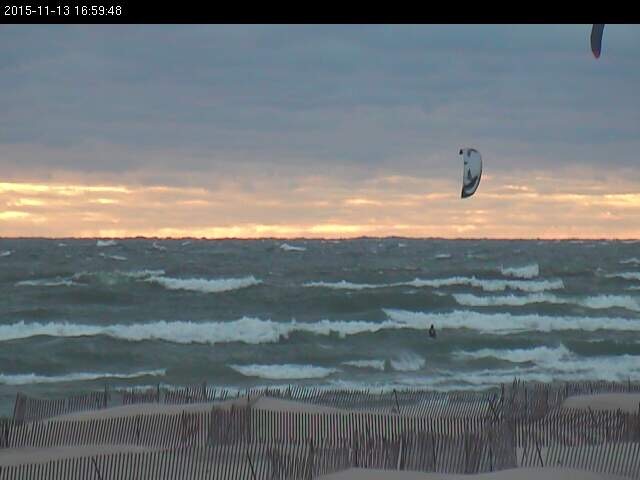 Not a day for kiteboarding. Sunday: Winds will pick back up again after the system snow moves through. The wind will be out of the NW and in the mid 20’s in knots early in the day. As the day goes on, it should gradually decrease in strength. It will also be another cold day and possible lake effect snow showers. Gotta be careful if going out today or Sunday in the colder temperatures. Once the wind chill drops below freezing there is the chance for your gear to get frozen and not work properly. Not too mention how fast you will get cold if not properly geared up. 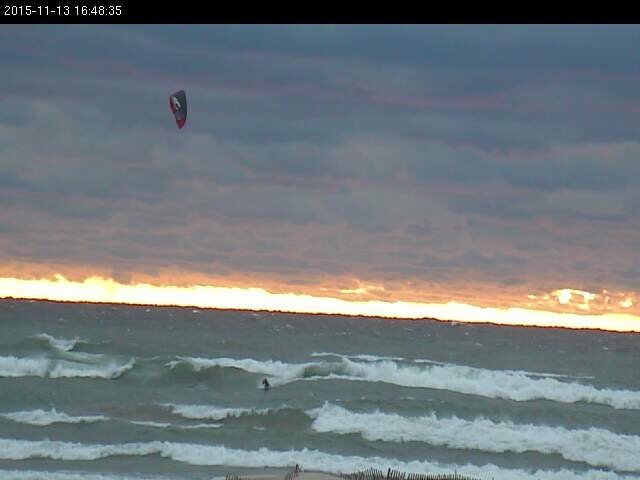 This cold air and snow coming start to get me thinking about snowkiting, but I’m not quite ready yet. 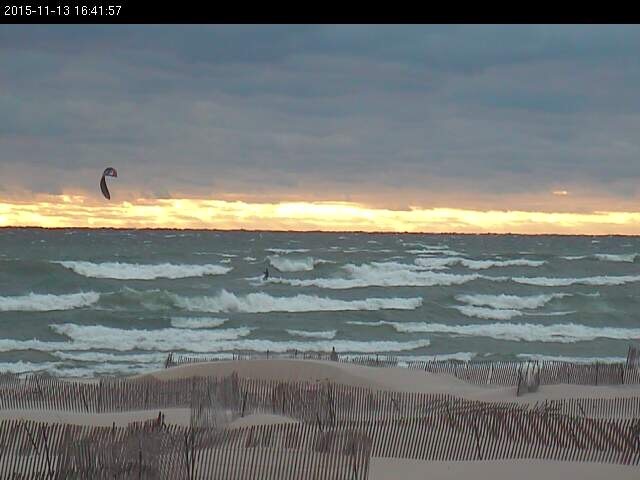 I’m pretty sure there will be some more opportunities for kiteboarding on Lake Michigan in the coming weeks. Especially since the water is still close to 50 degrees along the shore and a little bit of a warm up is forecast for next week. 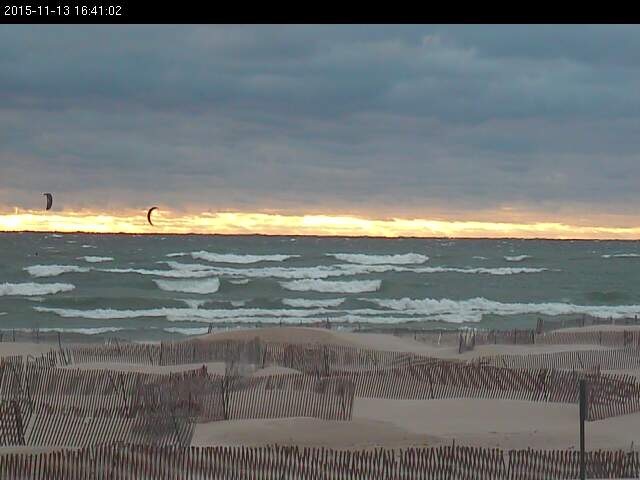 Just some really great waves last Friday in Muskegon. It was one of the best rides of the year.